Dry roast the mixed nuts (I used cashew nuts, badam,peanuts )in a pan for 2 minutes in a medium flame without getting it burnt. Keep it aside and Chop them roughly. Before start with the sugar, grease a butter paper with ghee | butter and grease the rolling pin too. In a pan, add sugar and add 2-3 tblsp of water. When the sugar starts melting add the saffron. Keep the flame low. Add lemon juice to this. The addition of lemon juice is to avoid crystallisation of sugar. Saute till the sugar gets caramalized and you see a light golden color. Now add the dry roased mixed nuts to this and give it a quick stir and transfer this to the greased butter paper. At this stage for me it is difficult for me to handle the camera in one hand and do the stirring too. Spread them evenly using the greased rolling pin and when it is warm cut them into desired shapes. You have to just put the lines .After it is completely cool you can break them into pieces according to the marks u made. Store them in airtight containers and enjoy these chikkis. Do not add too much lemon jiuce as it will make the chikkis sour. Do the entire process in low flame. I actually took it little early as i had a fear that it will get burnt, so the chikkis look pretty pale. 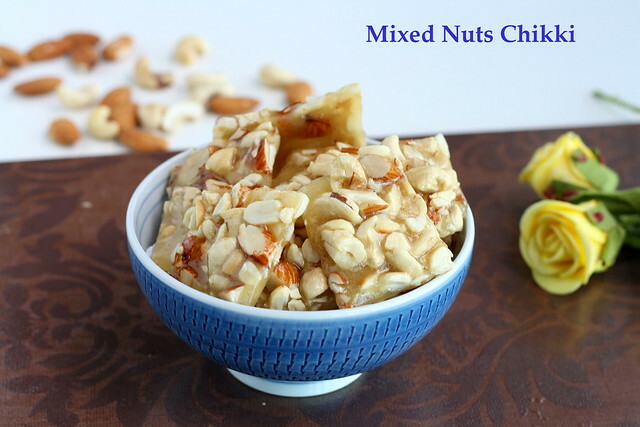 You can add pistas, raisins too in the chikki. I used unsalted de skinned peanuts. This looks too good Jeyashri. I was planning to do it for long. U have provolked me in making it soon..thanks dear. nice clicks. 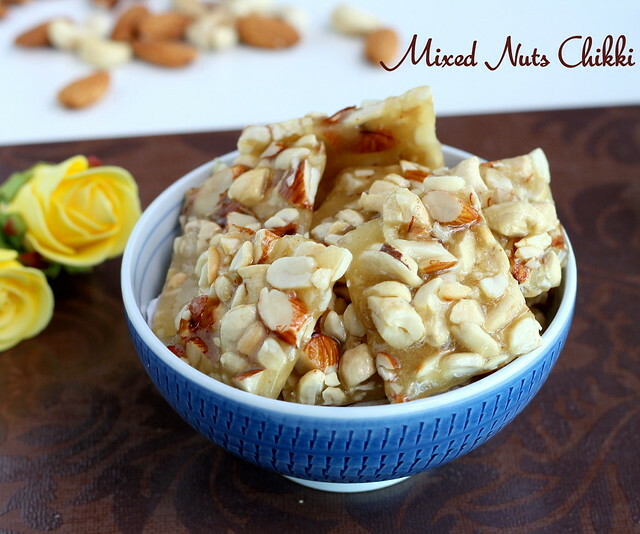 This is looking really crunchy...I have never made chikki at home and mom used to make this with jaggery...but this too looks awesome and easy to make. Oh I love this!!!! very crunchy and very flavorful!! My all time favorite looks absolutely yumm. 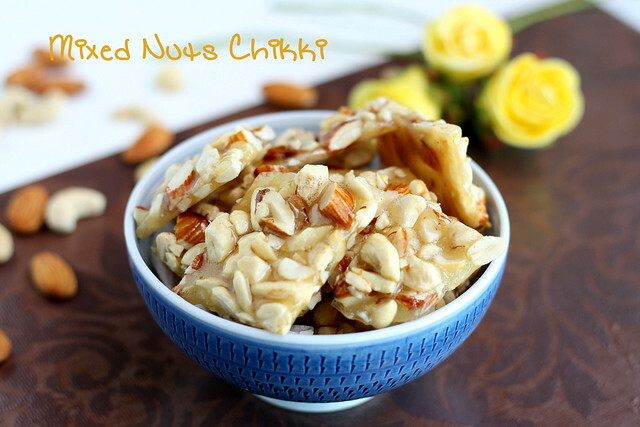 i love nuts chikki.. very yummy..
Crunchy brittles,just loving it..Feel like grabbing some. My fav anytime...looks so good!